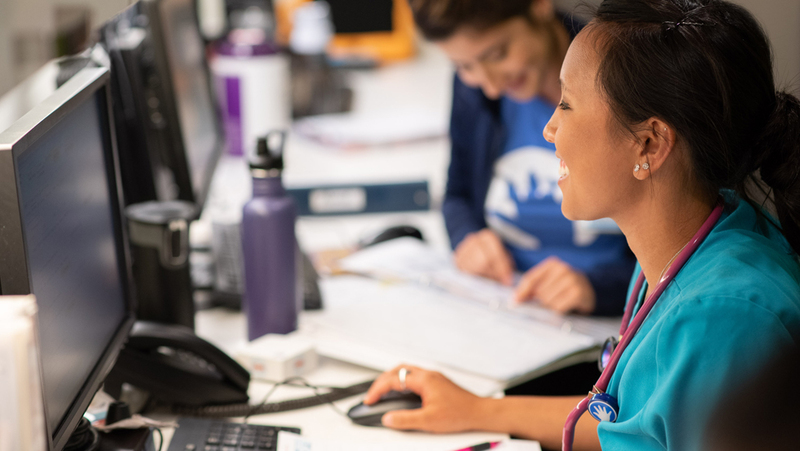 Fosters a learning environment and coordinates educational activities to achieve and advance the clinical competency and professional development of patient care staff. Coordinates area orientation designed to achieve the clinical competency of staff. Assesses clinical reasoning skills of staff and provides learning opportunities to advance clinical competencies, critical thinking, and decision-making skills of staff. Fosters interdisciplinary learning opportunities with the delivery of patient care and fosters staff decision-making in the context of the healthcare continuum. Fosters the development of leadership, teamwork, and customer service skills. Assesses the learning needs of staff and reviews performance improvement data to provide educational activities which meet the needs of staff and achieve expected family care outcomes. Employs a variety of interactive teaching strategies. Evaluates the outcomes of orientation and educational activities in collaboration with staff, clinical, administrative and educational leaders. Revises learning activities based on results of evaluation. Serves as a clinical resource for patient care staff. Mentors and actively facilitates the clinical and professional advancement of staff. Coaches orientees and guides staff to appropriate resources to achieve performance expectations. Serves as a role model and facilitates research and scholarly activities. Links staff to expert sources of knowledge. Actively fosters staff utilization of research findings in clinical practice. Provides consultation to leadership regarding systems for clinical competency and ongoing professional development of staff. Participates in the development and attainment of clinical goals and objectives. Conducing quality audits as required. Maintains the documentation and record keeping system in compliance with organizational and external agency requirements. Participates in outreach education to advance pediatric clinical practice in the professional community. Responsible for tracking, reporting, and improving clinical quality metrics. Other job functions as assigned. A Bachelor of Science or Arts degree required. Master’s degree in area of clinical specialization and/or education preferred. Licensed in area of clinical practice. Three or more years of clinical experience preferred. Ability to assess and respond quickly to patient care situations. Ability to effectively communicate with patients, families, physicians, and hospital staff. Ability to operate and move audio/visual equipment from location to location.